Nobby’s workshops and seminars address a wide range of topics: leadership, motivation, marketing, business perpetuation, performance planning and success. He uses emotion, insight, humor and examples of his experiences to encourage the audience to participate. His presentations give attendees the confidence and composure it takes to be true leaders and to make the best better. Every presentation will fuel inner strength and give participants a competitive edge. 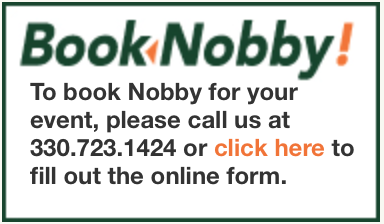 In this program, Nobby inspires and motivates individuals to lead others through their own actions and words. He illustrates how integrity is key to how people are viewed as a leader. Without integrity you can never develop trust and without trust you can never develop people. He shows how we are all responsible for our own success. Nobby also encourages audience participation in his presentation and tells real life stories of his life experiences. Managers do things right, while leaders do the right things. Develop knowledge of the qualities necessary to be an effective leader. Understand why good leaders succeed, and why others fail. Gain insight into how others view leaders. Achieve motivation to become the best leader you can be. Gain the confidence and composure to become a true leader. Overcome many of the obstacles which have been imposed on you by others as well as yourself. Break down the cycle of negative self-talk and reprogram your mind to follow new and productive directions. Gain the skills and knowledge to lead a happier, more outgoing and productive life. Implement Nobby’s belief “If It Is To Be, It Is Up To Me”. Develop marketing proficiency that extends from owner to all personnel. Effectively implement marketing techniques and strategies that work. Teach your staff how to build their personal image as well as project a positive company image. Improve valuable skills such as networking, developing contacts, and fostering customer loyalty. Build teamwork on sound goals and objectives versus only revenue and profitability. Involve the management team in the organization, and monitor successes. Evaluate communication effectiveness in the organization. Development of a process and timeliness of performing practice checkup, including critical questions for the staff and management to complete anonymously. Demonstrate the transition from the checkup to a retreat plan, utilizing the data obtaining above. Identify areas of potential changes and develop a business retreat agenda with specific goals. Develop benchmarks for measuring the outcome of the retreat. Develop goals and objectives aligned with the organization’s mission. Implement procedure to involve the management team in an organization strategy and a perpetuation plan. Apply annual check-up questions to the organization and evaluate the real value of the company. Give straightforward, objective and honest input to move the business forward to the next level. Participate in an interactive discussion of a 16-minute DVD sponsored by TheStuttering Foundation. Use suggestions to support communication skills and building self-confidence in an individual who stutters. Discuss the findings of Ed Conture and Scott Yaruss and how they work with patients. Hire the best, brightest and developing them into marketers. Offer your client all that, you know, they really need. Maximize the value of your firm when you want to retire and the exit strategies to do so. Identify and accepting challenges and opportunities. Find ways to improve self confidence by overcoming challenges. An understanding of what can be attained. Create a plan and simplify goal setting. Discover the process to be accepted as a whole person. Learning little tips and tricks to overcome getting hung up on words. Find out how turning challenges into opportunities can be accomplished.